Officially updated as of October 6, 2013. I’m still not very happy with it but for what it’s worth, there it is! The creation of the Royal Mail Ship Titanic was the British shipbuilding industry at its best. During her short lifetime Titanic held the title of the largest, movable man-made object in the world. Not many could disagree. Titanic was the culmination of years of hard work and planning. She, along with her elder sister ship, RMS Olympic, was the apple of the White Star Line’s eye. White Star had contracted the shipbuilders, Harland & Wolff, to build the twin giants (and later a third ship) in 1908. Now, four years later on April 10, 1912, Titanic sat proudly docked at her pier in Southampton, England awaiting her maiden voyage. From Southampton she would sail to Cherbourg, France then to Queenstown, Ireland before heading for the North Atlantic. From then on out it would be rather uneventful until the ship arrived in New York City, her intended destination. On the afternoon of April 10 Titanic began to pull away from her pier to begin her crossing to Cherbourg. As Titanic navigated the English waterways she passed by the SS New York. Thanks to the suction Titanic created the New York broke free of her mooring lines, swung out and threatened to collide with the great ocean liner. And she would have too had it not been for the quick thinking of Captain C. Gale aboard the tug, Vulcan. It was, as one newspaper reported, “a narrow squeak”. Due to this little matter Titanic’s voyage was delayed for about an hour before she could proceed. To some crew and passengers the New York incident had been a sign of bad luck, “some passengers took it as a bad omen of ill-fortune”. Just before nightfall Titanic arrived in Cherbourg. There twenty-four passengers disembarked while 274 more people of various classes boarded. After taking care of business in Cherbourg Titanic steamed for Queenstown where she arrived shortly before noon on April 11. She anchored a short ways off from the Irish coast where two tenders, the America and Ireland, ferried passengers and bags of mail to and from the liner. After taking on 220 passengers and 194 mail sacks Titanic set sail for New York City, where she was scheduled to arrive on April 17. But not before John Coffey, a fireman, deserted via a tender where he hid amongst the mail bags. The next day, April 12, Titanic received two known wireless reports of ice, bergs and fields. Then the wireless apparatus broke down. Senior Wireless Operator John George “Jack” Phillips and Junior Wireless Operator Harold Sidney Bride would only finish repairs the next morning. Reports of ice would continue to be received over the next few days. Captain Edward John Smith and his officers did not fail to acknowledge those reports. Rather Titanic’s course was altered so that she would, it was believed, pass south of the ice. By Sunday, April 14, the voyage had been rather uneventful. That morning church services led by Captain Smith were held in the First Class Dining Saloon. Later in the evening passengers held a “hymn sing-song” where the hymn “Eternal Father, Strong to Save” proved to be an ironic choice as would be seen in the coming hours. Ironic in that a section of the lyrics include the words “Oh here us when we cry to Thee for those in peril on the sea”. In the wireless room at 9:30 p.m. Phillips received an ice report from the SS Mesaba. Unfortunately, because of the earlier malfunctioning of the radio equipment, Phillips and Bride were trying to catch up with all of the piled up traffic and the Mesaba message never made it to the bridge. Another contributing factor to the failure of its delivery was the fact that the wireless operator from the Mesaba had failed to add the letters “MSG” to the transmission. The Mesaba message was important, noting the existence of ice directly in Titanic’s path. But whether it would have prevented Titanic’s demise is doubtful. Captains on the transatlantic run were not in the habit of stopping for ice unless it was absolutely impossible to proceed forward. And so Titanic steamed onward. At 10 p.m. Frederick Fleet and Reginald Lee reported for lookout duty and climbed up into the crow’s nest. They were cautioned to keep an eye out for small ice and “growlers”, low-lying ice. The temperature had steadily dropped and as Fleet and Lee took up their positions in the crow’s nest they gazed ahead trying to pick out any obstructions on Titanic’s course. The water was a calm, visibility was clear and a cloudless sky revealed starlit heavens. Passenger Martha Stephenson would later comment, “The sea was smooth and the night brilliant with more stars than I had ever seen”. If any ice lay ahead it would be spotted on time to take evasive action. At 11:40 p.m. Fleet and Lee made out a large object up ahead. Its black silhouette loomed in the night. Fleet rang the bell in the crow’s nest and then telephoned the bridge. On the other end Sixth Officer James Paul Moody asked what was it the loookouts had seen. Fleet answered there was iceberg right ahead. With out of place courtesy Moody thanked Fleet, hung up and relayed the orders to First Officer William McMaster Murdoch. Almost soon as the words were out of Fleet’s mouth the Titanic’s bow began to turn away from the iceberg, slowly but surely. In less than a minute the bow swung clear of the iceberg but the rest of the ship sideswiped it. Chunks of ice fell to the deck. On board the collision was hardly noticeable in some places. As one lady put it “It was just as though we went over about a thousand marbles. There was nothing terrifying about it at all”. The usual thrum of the massive engines stopped and Titanic began to come to a standstill. Alarmed passengers were calmed and told that they had hit ice but that everything was under control. Most people went back to bed while curiosity seekers meandered up on deck. On the bridge Smith arrived to inquire about the collision. Murdoch explained that Titanic “was too close” and that nothing more could have been done. Over the next minutes inspections were carried out. Fourth Officer Joseph Groves Boxhall was informed by a postal clerk that water was coming in the mail hold. The ship’s carpenter sounded the ship while Titanic’s designer, Thomas Andrews, was fetched from his room. Smith and Andrews held their own inspections before Andrews made his grim calculations. Titanic had one hour to an hour and a half to live. Five of her sixteen watertight compartments had been breeched and were steadily taking on water. Titanic was designed to stay afloat with any two compartments flooded. The situation was grave; but to avoid panic among the masses, the urgency of the damage was kept quiet. Titanic did not carry enough lifeboats to guarantee the over 2,000 people aboard a seat—a sad fact Smith was well aware of that. And while it was true she carried four more lifeboats than was required of the British Board of Trade, there simply was not enough seating for everyone. Phillips and Bride were both awake when Smith arrived with the order to send out the distress call “CQD”. A number of ships answered Titanic’s call and began steaming for the endangered liner. Unfortunately, they would not reach Titanic until hours later. 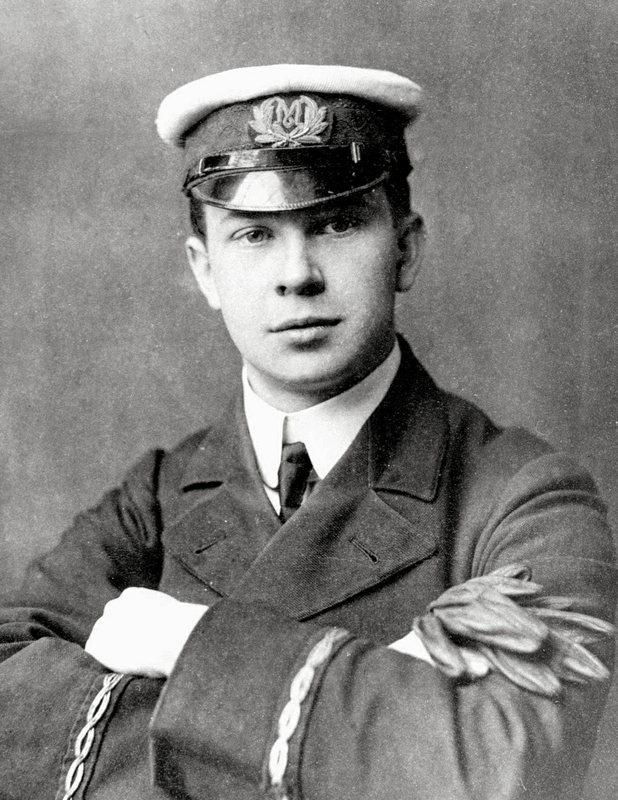 Just before 12:30 a.m. Harold Cottam, wireless operator of the RMS Carpathia, was preparing to turn in for the night when he noticed Titanic had wireless traffic piling up from Cape Race, a shore-based station—he had missed the distress call while away from the set. When Cottam inquired of Titanic whether they were aware of this Phillips informed the operator that Titanic had been in a collision with an iceberg. Cottam promptly alerted the Carpathia’s officers and soon the smaller vessel was steaming quickly for the Titanic. Phillips continued to transmit hoping another ship was nearer. At one point Bride jokingly told Phillips to try sending out “SOS”, the new international distress call. His rather tongue-in-cheek humor would prove prophetic for Phillips who would die in the disaster, “It’s the new call, and it may be your last chance to send it”. Smith, who had just arrived in the wireless room, Phillips and Bride shared a laugh over the gallows humor before Phillips transmitted the “SOS”. On the Boat Deck crewmen were uncovering the lifeboats and preparing to launch them. The night’s decree was women and children first. Of the port side lifeboats that would, generally, be carried out exactly by the officers working there. On the starboard side, however, officers working that side would load women and children first. 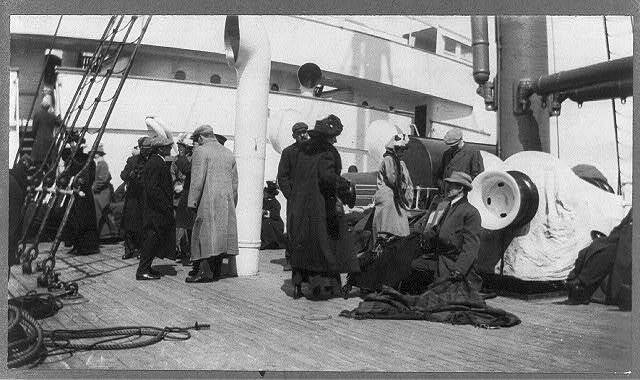 But if there were no more that stepped forward and there was still room in the lifeboat, men were allowed to board too. But even at that it was a somewhat difficult task that the officers had before them. Many passengers did not wish to leave the comfort of the ship to freeze to death in an open lifeboat. 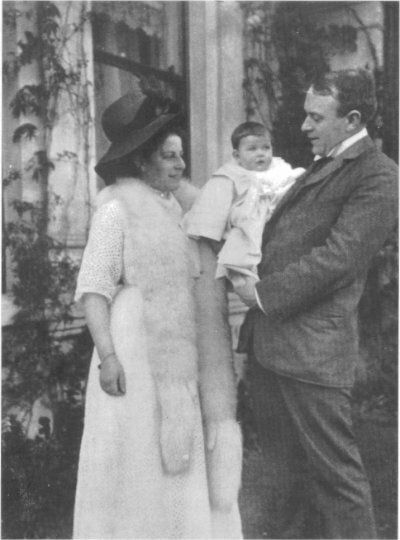 Others could not bear to be separated from their families or believe that Titanic was actually going to founder. 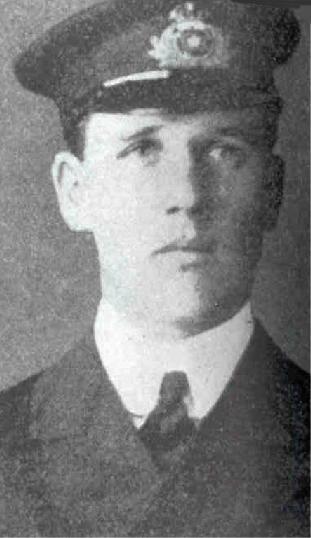 Third Officer Herbert John Pitman would go on to express the sentiments of many passengers when he said “I did not like the idea of going away at all, because I thought I was better off on the ship”. 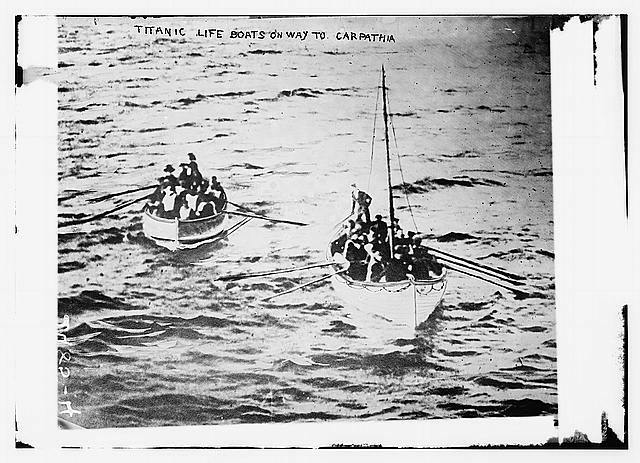 Still there were male passengers who were intent on finding a seat on the lifeboat at the risk of earning an officer’s ire. A number of stowaways and would-be stowaways were later discovered. Some escaped the detection of crew while a few were forced out of the lifeboats. At 12:45 a.m. lifeboat No. 7 became the first to leave Titanic’s side. It left with twenty-eight people although it could have seated sixty-five. While the reluctance of passengers did play a part in this, officers were also afraid that the new lifeboats would buckle under a full load. With that in mind some lifeboats were told to wait around the gangway door or take on more passengers as the lifeboat was lowered past the other decks. Unfortunately these orders would go unheeded for the most part. By 2:05 a.m. Collapsible D was the last lifeboat to “properly” leave Titanic. Fifteen minutes later RMS Titanic prepared to sink beneath the waves in about two miles of water. Crew and passengers were attempting to launch Collapsibles A and B when Titanic plunged into the cold North Atlantic. The collapsibles floated off and one would later be found upturned. Survivors would take shelter on it while waiting for rescue, balancing to keep it afloat throughout the long night. When Titanic sunk she left behind a frightening carnage. The shouts, moans and calls of people remaining on the surface beckoned to the Titanic’s lifeboats. Sadly, those safe in the lifeboats were afraid of being swamped so they did not return to the wreck site to pick up survivors. Pitman wanted to return, but was overruled by passengers who feared for their lives. In the end only one lifeboat would return to the wreck. Under Fifth Officer Harold Godfrey Lowe No. 14 returned to retrieve passengers. Four survivors were found, but one of them died. Of the over 2,000 people aboard 1,523 perished. RMS Carpathia was the first rescue ship to arrive on the scene. At 4:10 a.m. the first survivors were taken aboard. It was a task that would last for more than four hours. When all lifeboats were accounted for and rescued Carpathia scanned the area for more survivors but none were found. Other ships would join her in the search, but it would prove fruitless. From the site of the disaster Carpathia steamed for New York where passengers disembarked. Survivors struggled to understand what had happened while picking up their pieces of their lives. For some it would be a source of enduring heartache. Others would learn to move on despite being haunted by the traumatic events. Both in the United States and in Great Britain inquiries were held in a search for answers. The inquiries would last for weeks; thousands of questions were answered, thousands of answers given. Witness after witness was called to give their testimony. Tensions sometimes ran high and in the end the findings of both the American and British governments were more or less the same. The regulations that governed shipbuilding and seafaring were outdated and in need of reform—immediately. One of many developments which owes its existence to the legacy of Titanic is the International Ice Patrol, which as its name imply, monitors ice that could pose problems to ships and distributes that information to vessels. Among other things ships now carry enough lifeboats for each and every person aboard and then some. So at a high cost, the loss of Titanic brought about changes that makes sailing safer for crew and passengers alike. What an excellent and informed article thank you it was very interesting. Roger was 10 years older than me and was kind enough to take his 9 year old brother on a boat trip one summer to meet not only the Queen Mary but also the beautiful SS France. Of course I was sick, and spilt Coke down my tshirt, and was a lot of hard work, a typical pain in the posterior younger brother. But if Roger tried to forget the day I will always remember it fondly. Thanks for the compliment and I’m glad you found it interesting. It must’ve been alot of fun to see the ships. I myself would love to see a liner in real life. Glad you liked it, Bruce. I liked this very much! Well researched and well written post on lesser known aspects of the disaster. I am now going to read your story of the Marie Celeste. Thank you for liking my post on TheTitanic, one of many planned for this centenary year. Glad you enjoyed it, Angela. I hope you enjoy the Cursed Brigantine, as well. I’ll be checking back at your blog for more on Titanic. Thanks for following. Thank you. I’ve been trying to decide what to do to commemorate the tragedy this year. Both suggestions sound interesting. Thanks for reading. Very informative article. I’ve been fascinated with the story of the Titanic for a number of years now, and plan to mark the anniversary of the sinking with some posts on my blog as well. I look forward to reading them. Thanks for reading! Nice post and great work! I wrote some articles for an association about Titanic (French Titanic Association) and your post has the same quality as my articles. Your article is very complete and clear. Thanks, I’m glad you liked it. Thanks for reading. Terrific post! I’ve been intrigued by the ship since I was a child, but am always captivated in reading accounts of her. What an immense tragedy it was, and it’s hard to believe we’re coming up on the 100th anniversary of its sinking! Thank you! I’ve really only became seriously interested in the ship in the last about two or three years. For the 100th anniversary I plan to do a post pertaining to Titanic. Most likely what Mr. Coombs suggested above, a combination of White Star and Harland and Wolff. Thanks for reading! It’s a fascinating topic, made even more so by the fact that if only one or two small, seemingly insignificant things would have happened differently, they might not have sank! Yes. I think that’s what got me interested in it, so many ifs. If things had gone differently we’d remember her as just another beautiful liner. What an interesting collection of topics. Definitely a blog that I will continue to follow. Thank you! I like your blog as well. Thank you. As you go through the archives you’ll know why I liked your photos. They’re of a ship! Thanks for reading. Thank you! I really enjoyed your Titanic article. Thanks for stopping by and subscribing. Terrific detail put together in a fascinating way! I got my stats of over 1500 dead from Wikipedia. Is that not correct? The most often quoted statistic of the dead is 1,517 dead. That’s what I think the US and British Inquiries came up with, perhaps give or take a little. (That wasn’t meant to sound as callous as it looks). Thanks for reading and your comment! Have you ever done research on “The Hector” that carried settlers from Scotland to Nova Scotia? I’d like to write a fiction book about that story someday myself. No, I hadn’t heard of it. Sounds interesting. I’ll have to do some digging.